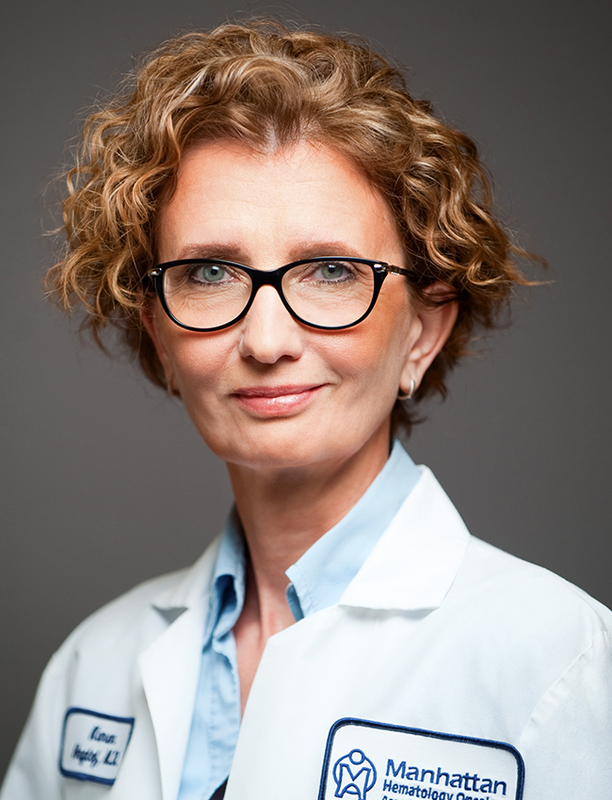 Dr. Haglof has been locally and nationally recognized in Top Ten Doctors™ Hematology Oncology Award 2012, the Jonas E. Salk Award, Phi Beta Kappa, New York, NY, and the Janet M. Glasgow Memorial Citation, New York, NY. Board Certified in Internal Medicine and Hematology Oncology, Dr. Haglof joined Dr. Goldenberg and Manhattan Hematology Oncology Associates in 2006. Together, with the support of highly skilled and caring nurses and staff, they are dedicated to giving personalized and compassionate cancer care in an intimate and serene environment.